If you own a home, you work hard to keep it in good working order. You maintain the plumbing and the electrical work so that they continue to work. You paint the walls in every room to make the house more comfortable. You take care of the lawn and make sure that it stays green. You paint the outside of the house so that it looks good. However, the most dreaded job that every homeowner hates is cleaning the gutters. Why is cleaning the gutters the most dreaded job of every homeowner? It involves you getting on a ladder while maintaining your balance and trying not to hurt yourself. After that, all you have to do is to stick your hands into the nasty buildup in the gutters, which could take you all day. Of course, you can just pay someone else to do it for you, but that cost money. That is why you cannot wait for winter because you do not have to worry about your gutters. However, that is where you are wrong. There is one time where you will have to worry about your gutters during the winter. That time is after a storm. You will notice that a heavy layer of debris covers your roof after a storm. You may think that this is a roof problem, not a gutter problem. You are right, but it can become a gutter problem. What can you do? The best way to prevent this from happening is to make sure that you clear your roof after all post-storm debris. 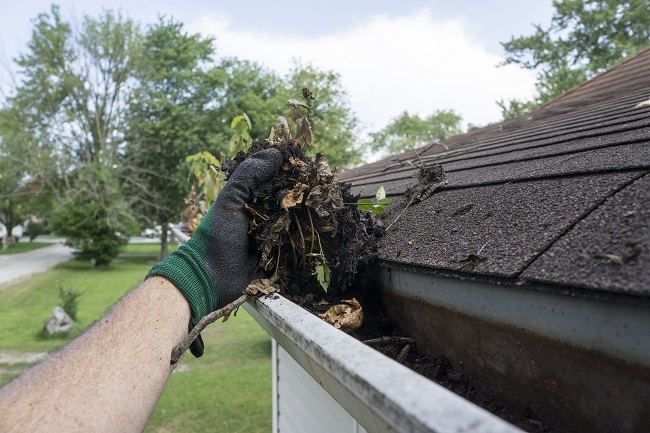 However, if you do not get there in time and debris buildup begins to form in your gutters, you can attempt to get on a ladder and clear it out by hand or you can call a professional to come out and do the work for you. Please do not hesitate to contact us if you are interested in having your gutters tended to. 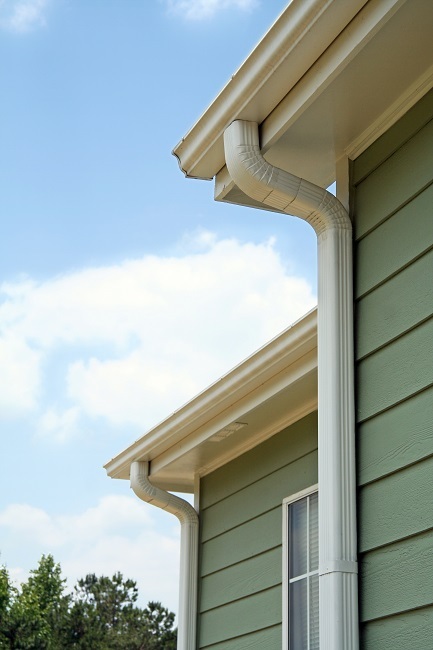 Regular gutter cleaning is important to keep your gutters functioning properly. You could handle this job yourself, or you could hire a professional company to do it. Here are five reasons why leaving this duty to the pros is a good idea. It’s rough work. It can take all day for an inexperienced person, and you’ll need to climb up and down a ladder many times. It requires endurance and resilience that professionals have built up throughout their careers. It’s not the safest job. You’ll have to reach far away from your body to get to leaves and debris, which is risky while standing on top of a ladder. Professionals have special equipment and training to keep them safer while cleaning gutters. Gutter cleaning requires special tools for a thorough job. While you could buy the tools, you’re likely a novice at using them. You may not know which piece of equipment to use where, and figuring out proper use is frustrating. You’ll have a mess to clean up. As if the actual gutter cleaning isn’t stressful enough, you’ll also have to scoop up all the leaves and debris you tossed on your lawn. Professionals will clean up the mess for you. Gutter cleaning companies have insurance. If you hire a friend to do the work, that person likely doesn’t have insurance, which leaves you liable if your friend gets hurt on your property. Excellent American Painting offers quality gutter cleaning services. To speak with a professional about having your gutters cleaned, please contact us.